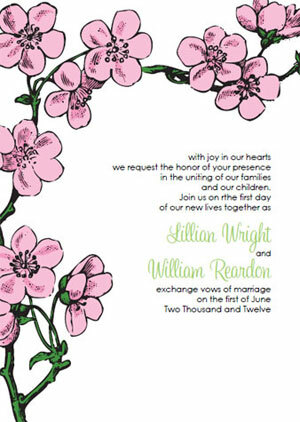 Our cherry blossom wedding invitation templates and stationery kit are now available in three different color options! We still offer the black and white version of this invite; perfect for a black tie affair or black and white color scheme. I also really love the use of watercolor or blending chalks with the black and white template. 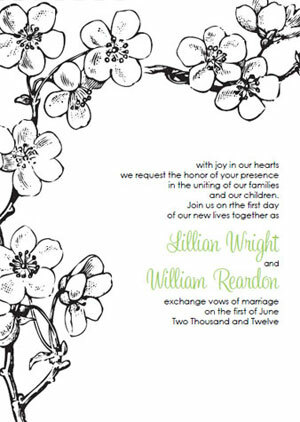 An ultimate DIY wedding invitation project! 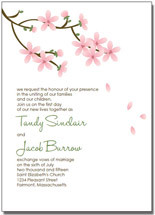 We now also offer a solid pink printed cherry blossom, as well as a full color version. I hope you all enjoy them! 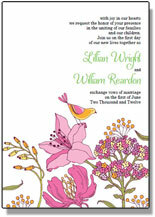 These invites are the perfect compliment to any spring or summertime wedding. 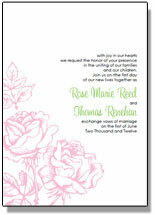 I love to pair them with vintage fonts for a pretty vintage inspired wedding invite. For the samples shown I used the font Sweetheart Script. 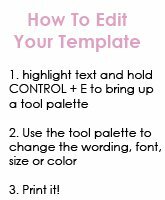 Of course, all of the fonts can be changed to suit your wedding style!